“Think global, act local” is the philosophy underlying Heroflon‘s “Glocal” approach. 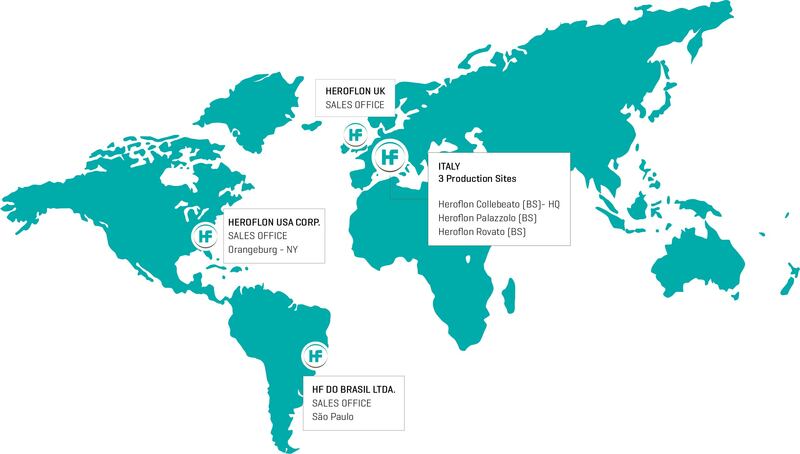 The two branches in the USA (1998) and Brazil (2012) are the evidences of Heroflon‘s international expansion process. Their activities, and the solid commercial partnerships established all over the world, deliver to local customers the excellence and quality of Heroflon’s products.